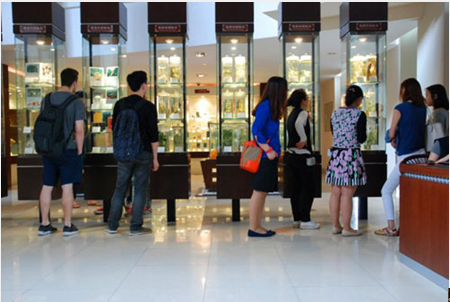 Foreign students visit the TCM museum. 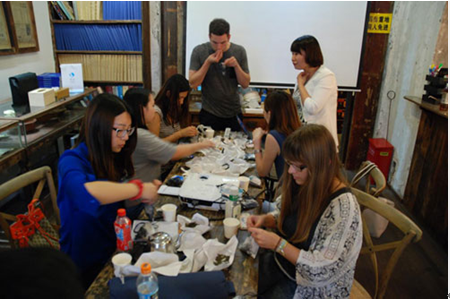 A group of foreign students from Shanghai Business School took part in a workshop tour to experience the culture of traditional Chinese medicine (TCM) on May 26. The students first visited the Shanghai Museum of TCM in Shanghai University of Traditional Chinese Medicine (SHTCM), where they learned the historical development of the TCM and got some basic knowledge about it. 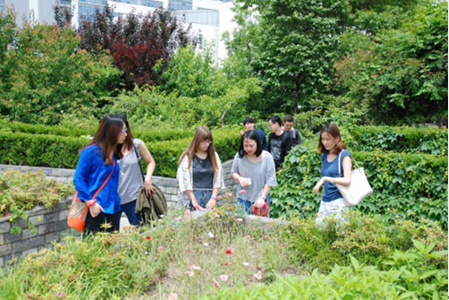 The students have a closer look at herbal medicines at a herb garden. Then they visited a herb garden to examine various herbal medicines. They were heartened by the stories of ancient Chinese doctors who learnt the pharmaceutical functions of unknown herbs by trying them on themselves. In the afternoon, the students took a trip to Fuxing Park where they were taught yijinjing, a combination of stretching movements and breathing exercises. Yijinjing, originated from the Shaolin Temple in Henan, has a history of 1,500 years. After the exercises, the students attended a TCM lecture at a clinic. They practiced some TCM treatment techniques, such as cupping and scraping, and made herbal perfume satchels. The students make herbal perfume satchels.